These are the things about AusPen whiteboard markers that I totally love. I wish every person in every school, university or business had a pack of these. They don’t stink and they don’t emit toxic fumes. Most whiteboard markers are made with a toxic chemical named Xylene. Xylene is a nasty petrochemical that you inhale when you use conventional whiteboard markers. AusPen does not use this chemical in their product. I feel happy knowing my kids are not inhaling toxic chemicals when they draw with the markers. Bright, vivid colors. I compared them to the Staedtler markers (which are always the more expensive brand), and another brand that was supposedly environmentally friendly and recycled (not pictured) the AusPen markers really stood out. AusPens were brighter, bolder and easier felt nicer when I was pressing down. I think it has a lot to do with the good design, the size and shape, of the nib. The nib comes in two shapes that you choose when you order. Made from recycled materials. 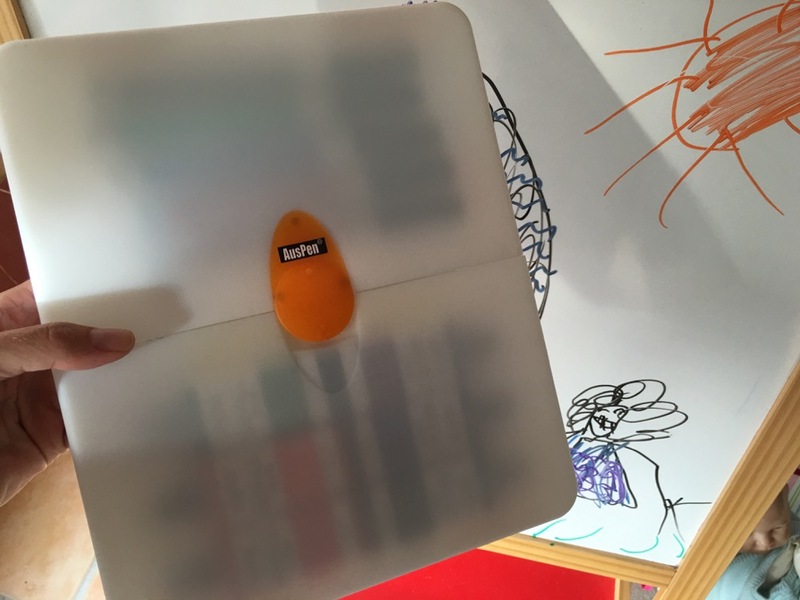 The carry case, refillable ink containers and pens are made from recycled materials. Made to be recycled. So, if one day you do need to get rid of your AusPens, you can put them in the recycling bin because they are made from recyclable materials. Long Lasting. 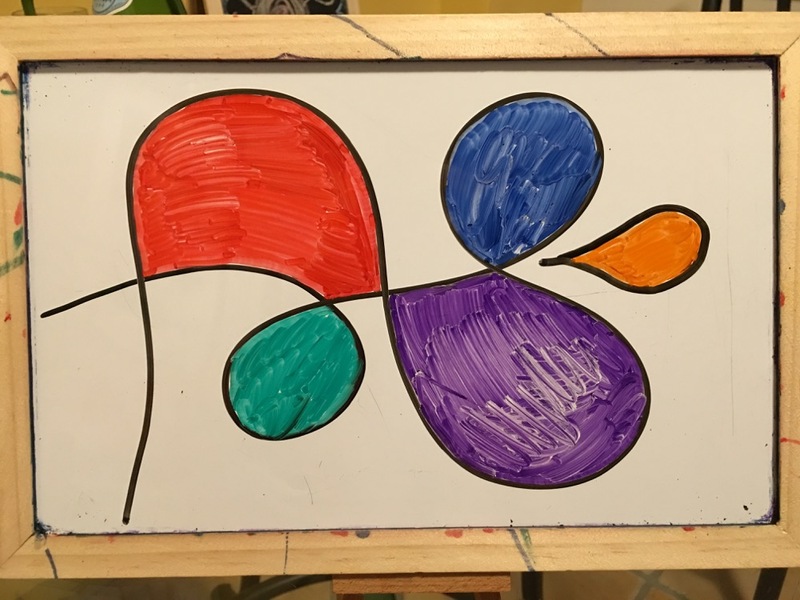 Aside from at work, my kids have also been using our whiteboard markers at home a lot. 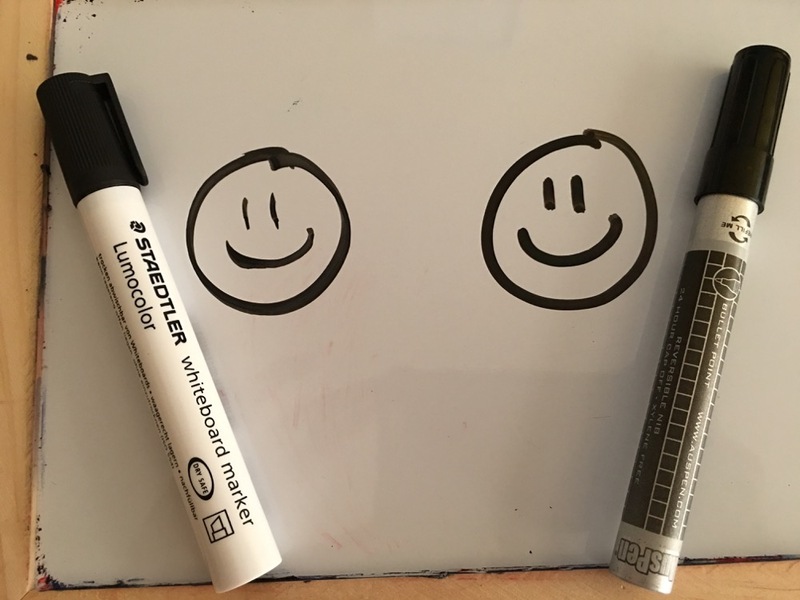 I haven’t noticed them needing to be refilled yet, whereas, if I had been using other whiteboard markers, they would have been running out by now (don’t be fooled by the cheaper disposable markers… they might be cheaper because they have less ink in them, so you have to buy more!). You can also replace the nib when they have been worn out! Everything on the marker is refillable! Great value. Initially, it seems like a lot, It’s $53.95 for a carry case, a six pack of pens and 6 refill ink bottles. BUT, that one pack is equivalent to 180 WHITEBOARD MARKERS! Do the math and you’ll see how much you save in money, let alone the good things yore doing for the environment. Refill Instructions online. You can easily access their website for tutorials on how to replace parts of their markers. You can also order new parts, like extra nibs, etc. The case. It’s actually pretty good, but I would like to see them make a smaller carry case, one that you don’t have to carry the refill in cartridges around in. Since my classroom always changes, I have to lug the whole thing around. It’s not that big, but still. One of the hinges on mine actually broke. I’m not sure what happened, but my daughter was using it and I don’t think she was being careless, and somehow it snapped. I can still use the case, it’s just a little fiddly now. 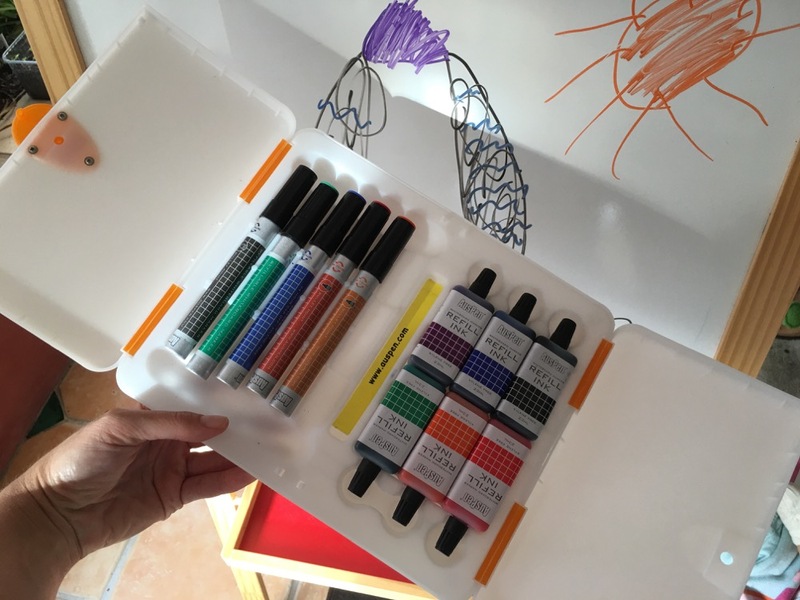 Other than that small thing, these whiteboard markers rock and I’m telling everyone about them! As a teacher, I want to model what it means to be an environmentally conscientious citizen. We shouldn’t be wasting materials just for the sake of education (or business)! Auspen has distributors in Australia and the USA, click here to order from their website! Here’s the comparison between Staedtler markers, on the left and Auspen on the right. What you can’t smell is that the Staedtler markers smell really bad! Auspen has barely any odor at all, and it’s not a stinky chemical smell. I’ve brought them into work, at the university, where I’m teaching teachers how to teach, and the students have all been impressed. They realize how expensive whiteboard markers are, and the awesome value of Auspen has a lot of them wanting to get some too.